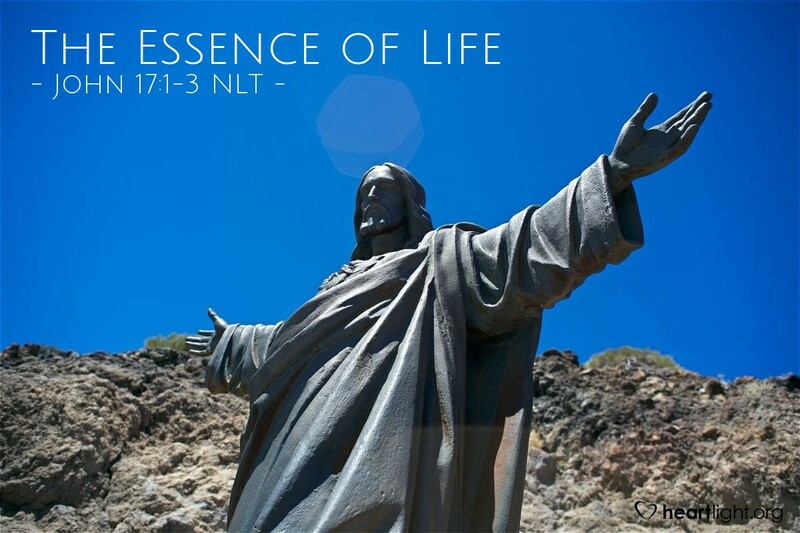 Jesus came to give us life. His goal wasn't to prolong our lives here. His goal wasn't even to increase the quality of life here, although that may be a byproduct of our Christian living. His goal was to give us life that would endure. He came to bring us life that would last longer than the mountains, oceans, earth, and sky. What is the secret to this life? To know God and to know his Son, Jesus Christ. This life is more than just knowing facts about God and Jesus; it is a relationship with them and a reliance on them in everyday life. It is seeking after God and finding him. It is learning to trust in him with every fiber of our being. Holy and righteous God, my heavenly Father, please lead me to a deeper relationship with you. I want to know more about you. I also want to know you — your passion, your holiness, your might, your wisdom, and your grace. Please reveal more of yourself to me in my daily walk with you. In Jesus' name, I pray. Amen.